Greetings to all Participating Contractors in the Southern California Edison (SCE) and SoCalGas® Energy Upgrade California® Home Upgrade program. Below, we share a few program updates, reminders and details on our last Technical Training session before Fall. We hope to see you there! Want to know the status of all of your projects in one convenient report? Now available in the WebApp, Participating Contractors have access to Workload Management Reports in which project status, project number, premise contact first name and days in status of each project are displayed. To access these reports, log into the WebApp and select a utility provider. 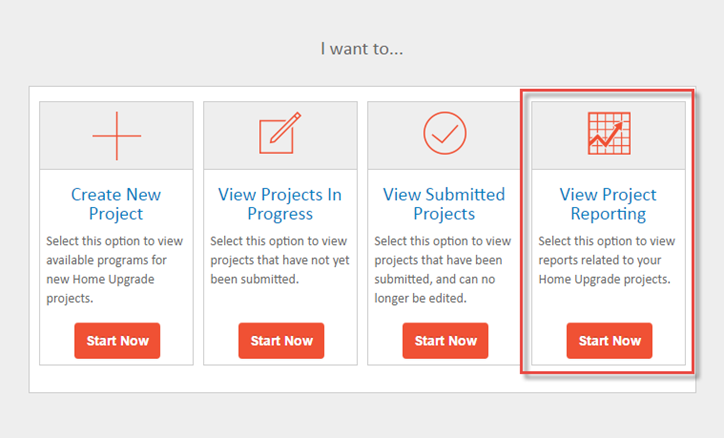 Select "Start Now" in the "View Project Reporting" option box displayed below. Under "Select Report", please choose the appropriate utility. Click "Generate Report" to display the report to easily access important information about your projects. In order to save the report, simply click on the floppy disk icon and select the desired format. Please reach out to your Account Management Team with any questions you have about access to these reports. 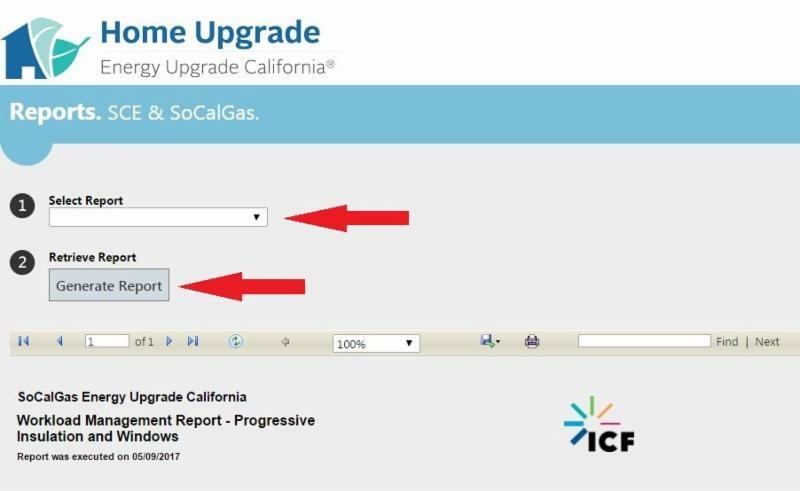 As a reminder, Participating Contractors are required to supply an itemized invoice that includes all measures being claimed for all projects submitted to the Energy Upgrade California Home Upgrade Program. Invoices should be marked "paid in full" or show a zero balance, or state that the project is being financed by a third-party lender. If the project is being financed, the name of the lending institution must also be provided. The project cost should include only measures eligible for incentives in the Home Upgrade Program. If your invoice also includes other measures/costs not eligible for incentives in the program, please include a subtotal of the Home Upgrade-related costs on the invoice. The subtotal should not include: costs of diagnostic testing, clean-up costs, preparation costs, permitting and other project costs not associated with an incentive. You can download a sample invoice here. Please reach out to your account management team if you have any questions about the invoice requirements. Gas-fueled fireplaces require damper clamps to ensure there is a one-half inch fixed opening.There will be times when a fireplace damper clamp is required, but one is not installed when QC is on-site for an inspection. 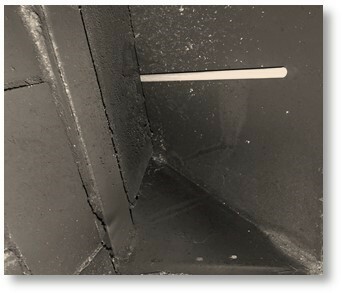 If a damper clamp is not installed, but it is required, the CFM 50 blower door test result will not be accurate. The program has come up with a process to ensure the diagnostic testing is accurate: when you perform a blower door test and a damper clamp is not installed, use a one-half inch dowel or other one-half inch spacer to simulate the required fixed opening. Please join us on June 6 for our last training session until Fall! We will cover the new BPI Healthy Homes Evaluator certification and how it benefits your business and your customers, mechanical ventilation updates, Community Choice Aggregators, safety issues and use of the NOUC/NFIR documents, modeling issues and more! BPI CEUs are available!